If you can’t trust a man named Phuc Dat Bich, who can you trust? For those following this story, you’re probably already well-versed in the saga that is Phuc Dat Bich, but for everyone else, here’s a quick primer. 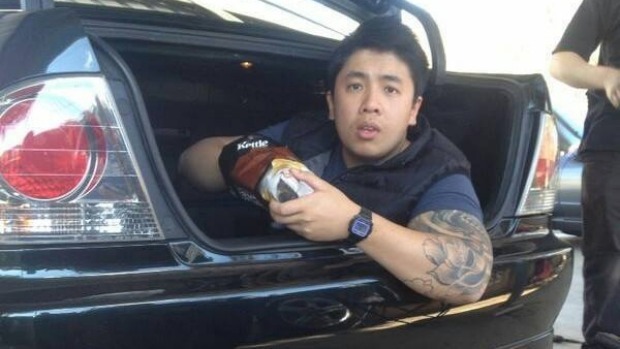 The story of a Vietnamese-Australian man with an unfortunate name emerged in January after Phuc Dat Bich, Joe Carr, Thien Nguyen, Tin Le he posted a photo of his passport online to “prove” that he was indeed named Phuc Dat Bich. The photo was necessary to prove to Facebook that his name wasn’t a violation of its real name policy and that it should quit removing his profile, being racist and otherwise being a Bich about the whole situation. I find it highly irritating the fact that nobody seems to believe me when I say that my full legal name is how you see it. I’ve been accused of using a false and misleading name of which I find very offensive. Is it because I’m Asian? Is it? Having my fb shut down multiple times and forced to change my name to my ‘real’ name. Surprise, the passport was altered. The story was faked. ‘Bich’ went from Internet famous to, well, even more Internet famous by proving that the media was relatively easy to Phuc with. According to Mashable, his real name is Thien Nguyen. Other outlets have reported that it’s Tin Le. Either way, it’s most definitely not Phuc Dat Bich.